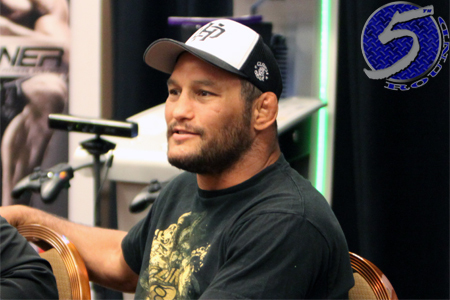 Just hours after announcing the Octagon would be making its debut in Winnipeg at UFC 161, a light heavyweight scrap between Dan Henderson (pictured) and Rashad Evans was added to the June 15 lineup. UFC president Dana White said Monday that the bout would depend upon Henderson receiving medical clearance on his right hand. The 42-year-old was issued a six-month suspension for his haymaker following last month’s loss to Lyoto Machida. It appears Hendo obtained the doctor’s note he needed. Henderson had rattled off five straight wins prior to dropping a split decision defeat to “The Dragon.” Machida now advances to a 205-pound title tilt. Evans, meanwhile, will be looking to bounce back from back-to-back defeats. “Suga” has dropped consecutive decisions to reigning light heavyweight king Jon Jones and Nogueira, respectively. The former champion had won four consecutive contests before embarking on his current skid. In addition, a heavyweight shootout between Soa Palelei and Stipe Miocic was confirmed for the event. MTS Centre in Winnipeg, Canada hosts the festivities.